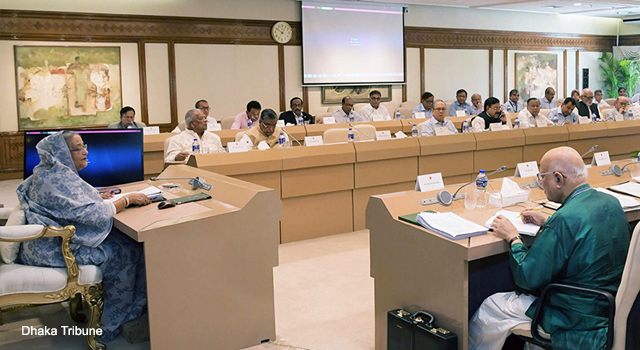 The Bangladesh Cabinet approved the proposal to allow India access to its Chittagong and Mongla ports to transport cargo to its northeastern region. This will reduce transit time and help traders save costs. Four routes are being considered: Agartala via Akhaura; Daouki via Tamabil; Sutarkandi via Sheola; and Bibekbazar via Simantapur. International rules and the General Agreement on Tariff and Trade will be applied, as well as applicable laws and rules on freight in Bangladesh. Goods bound for India's northeastern region will be carried onboard Bangladeshi vehicles that will be equipped with tracking systems, such as global positioning system (GPS), e-lock and e-seal. Bangladesh Cabinet Secretary Mohammad Shafiul Alam noted that this agreement between Bangladesh and India will also be opened to Bhutan and Nepal.